Everyone should have the same opportunities to participate in sports and fitness activities. The quality of service offered by any facility should not discriminate against people with mobility impairment, swimming pools included. Everyone should have the same opportunities to participate in sports and fitness activities. Poolside hoists are commonplace for safe entry into the pool. After consultation with disabled groups and access specialists, we discovered that bathers feel uncomfortable with the public spectacle of being manoeuvred into a busy pool by hoist; furthermore, there were concerns about the planning implications of incorporating ramped access. We have solution to overcome these problems. Poolpod is recommended by access professionals and is rapidly becoming the natural choice for new build facilities. The system is a more compact and affordable alternative to an integrated pool platform lift, its mobile giving more flexible pool configurations and reduces the complexity of the pool tank. 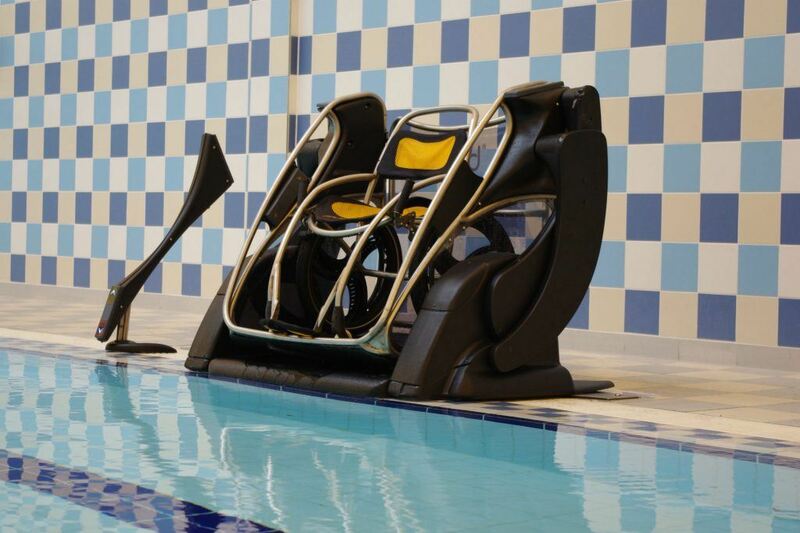 Poolpod is a perfect replacement for a pool hoist; it’s compact, easy to retrofit and appeals to swimmers with a wider range of mobility difficulties. The system can lower demands on pool staff and offers the greatest level of independence to customers. Adopting the Poolpod system can attract new customers to a swimming pool. Visit the Poolpod website for more info. 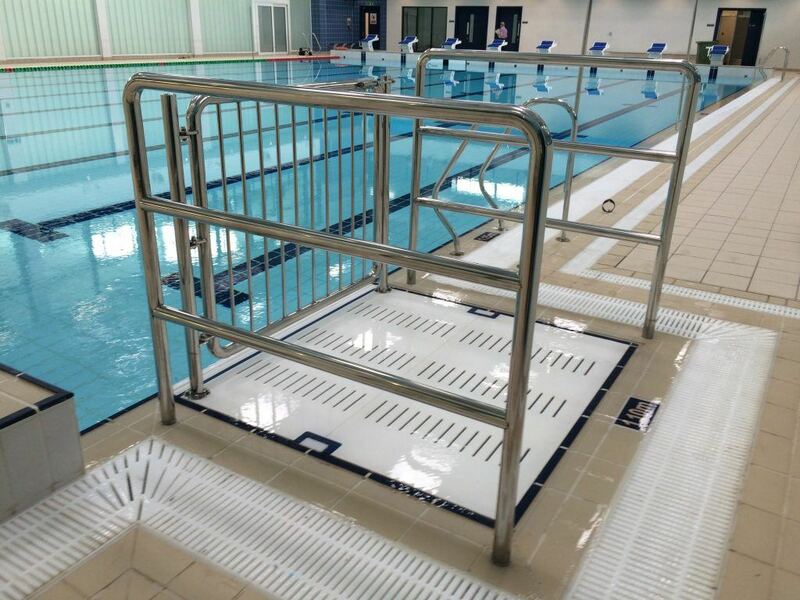 For the ultimate dignity on entry into the pool, our hydraulically operated disabled access platform can be integrated into the pool tank design. The platform has a controlled movement to take the bather from surface water level to their desired bathing depth. 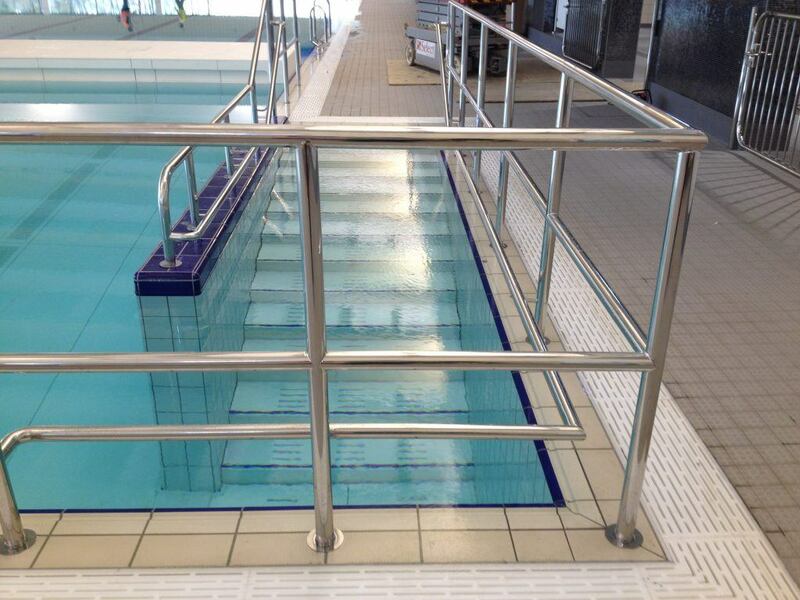 For bathers that cannot use the vertical access ladders and are not a wheelchair user, we can integrate self depositing steps with our moveable floor system. Easy stepped access is therefore available, whatever the floor depth. Get in touch for any information on our accessibility products. Meet the people behind our products and services. Find out what's happening in the industry.